Facebook New Innovative Feature Brings Everyone A Step Closer. Facebook is one of the best innovation of online world, no wonder why it is the most popular social network worldwide. It has 1.71 billion active users who connect, communicate and exchange ideas and get in touch with friends all over the world. The world’s biggest social network is shaping lives. 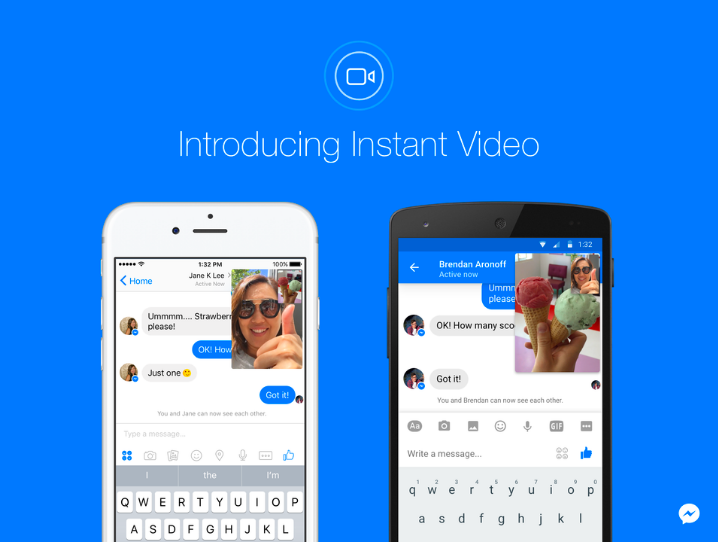 In an attempt to make the social network more connected, Facebook has introduced Instant Video to Messenger Conversations. This feature has brought the instant message conversations to life. Facebook, on their official newsroom website on September 1, 2016 have announced that it has rolled out this amazing feature for both iOS and Android apps. If users do not see the option, the website has advised to update the app. Using this new feature is very simple, as you send text messages in the messenger, you can now also add face-to-face instant video. The video stays on the upper right corner and does not disturb your chat. Initially when you start the video there is no sound but the sound can be added with one tab. Facebook is getting some criticisim online for this feature, mostly because it is a clone of Snapchat. Earlier Facebook copied Snapchat’s poke feature and then stories-style feature “Quick Updates”. Instant Video is not available for group chats. Previous article How To Train Your Mind For Effective Learning, Champions Guide.